I was on such a hype for Avengers: Age of Ultron and while it did deliver the goods, I was not thinking ‘this is f**king awesome!’ throughout like I did the first one. I am being quite harsh – in regular film standards, this was amazing and so enjoyable but I just loved the first Avengers so much that I left feeling ever-so-slightly deflated. The Avengers are back and this time around there is no S.H.I.E.L.D. telling them what to do, so they are on their own mission to take down the last remaining sects of Hydra. 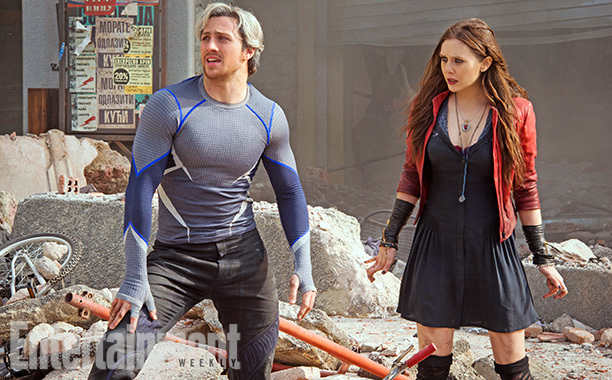 Their travels take them to Eastern Europe where they find Loki’s sceptre and the Maximoff twins – Quicksilver (Aaron Taylor-Johnson) and Scarlet Witch (Elizabeth Olsen). Tony Stark (Robert Downey, Jr.) wants to harness the sceptre’s power to create the Ultron peacekeeping robot program, but something goes wrong and Ultron (voiced by James Spader) develops a mind of its own – one that wants to destroy humans. There are lots of characters to keep up with and I think writer/director Joss Whedon did a great job of giving them each their own storylines while moving the main arc along while also dropping gems for forthcoming movies. There are a lot of balls to juggle. Hawkeye (Jeremy Renner) was given a massive boost this time around and we learn so much about this personal life while Natasha (Scarlett Johansson) and Bruce/Hulk (Mark Ruffalo) develop a romantic storyline, which is incredibly interesting. Stark is still the scene stealer because I love his wit and banter, but also his decisions are also called into question – is he any better than Ultron?! 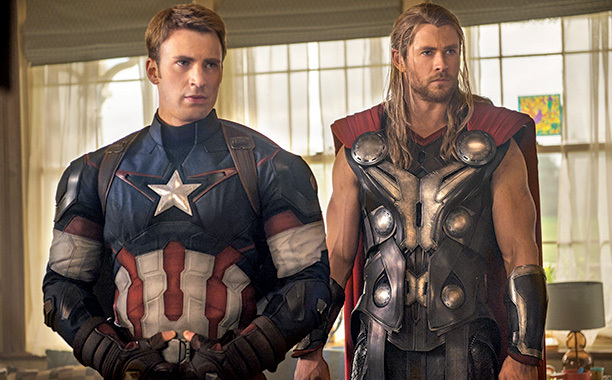 The seed of a rift between Stark and Captain America (Chris Evans) has definitely been planted for future films. The only let down was Thor (Chris Hemsworth) – his storyline was probably the most important in making The Vision (Paul Bettany) and discussing infinity stones, but it made no sense and he didn’t have much to do for the majority of the movie. I didn’t love Ultron as a villain and I can’t explain why. I just wasn’t feeling it. I love the addition of the twins but their Eastern European accents were questionable at times. I liked Taylor-Johnson and Evan Peters (from X-Men) as Quicksilver equally because they were so vastly different and cannot really be compared. Also an unexpected death was actually refreshing because it reminds us they aren’t invincible and it helps raise the stakes. The end leaves you wondering if the current formation of Avengers will continue because most of them have gone off to do their own things and I really appreciated the small appearance of familiar faces like Peggy Carter (Hayley Atwell) and War Machine (Don Cheadle). I am being very picky here because I hold these movies in such high regard and desperately want them to be perfect. On the whole, it was great. Besides little niggles such as explanations (super speedy and confusing scientific speak that goes over my head) and very obvious CGI on some stunts, my main gripes are Thor and Ultron. But there are plenty of other amazing things to balance those out. The humour was on point. I loved the banter between the cast and I was regularly laughing out loud. A scene where they all try to lift Thor’s hammer is absolutely genius. The pacing was right and the action never got boring. Marvel fans will be satisfied for sure.